With community support, quality services are provided to meet the physical, social, spiritual and emotional needs of the vulnerable youth in Fort Bend County. We hope you will feel compelled to join us in this effort. Children who are recently displaced from their family – as a result of recent trauma or neglect – often arrive at Parks Youth Ranch with just the clothes on their backs, or a trash bag stuffed with ill-fitting clothing and belongings. We believe that every child should have their basic human needs met, from the moment they walk in through our door! Please join us in our efforts to ensure that each of the 130+ children in crisis that we serve annually has a set of underwear, socks, sheets, toiletries and other basic items. 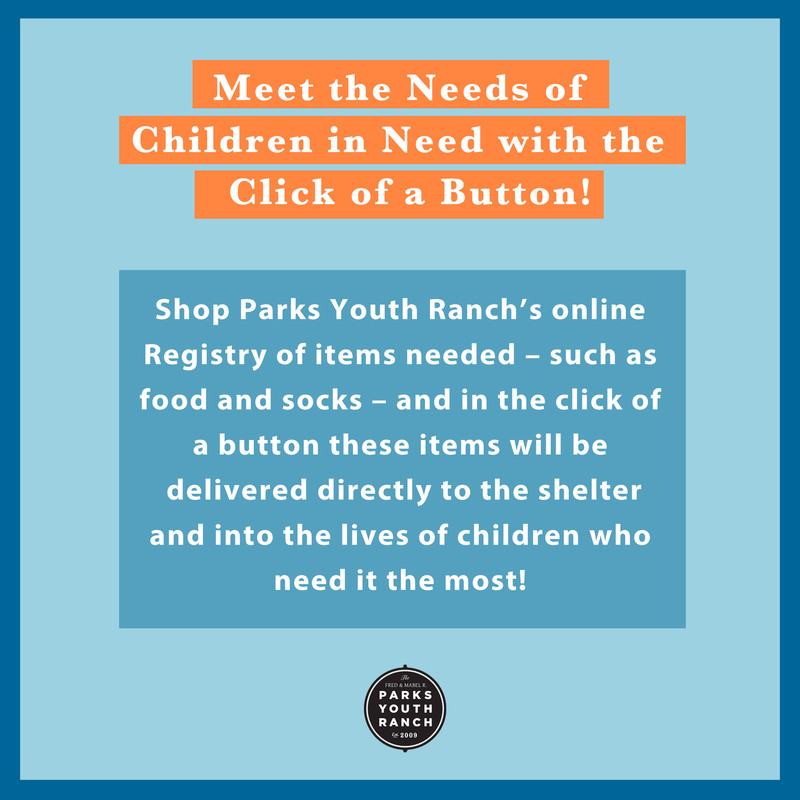 Browse our wish list via the button below and in the click of a button the items will be shipped directly to the ranch, and into the lives of the children that need it the most! Click Here to Shop for a Cause!